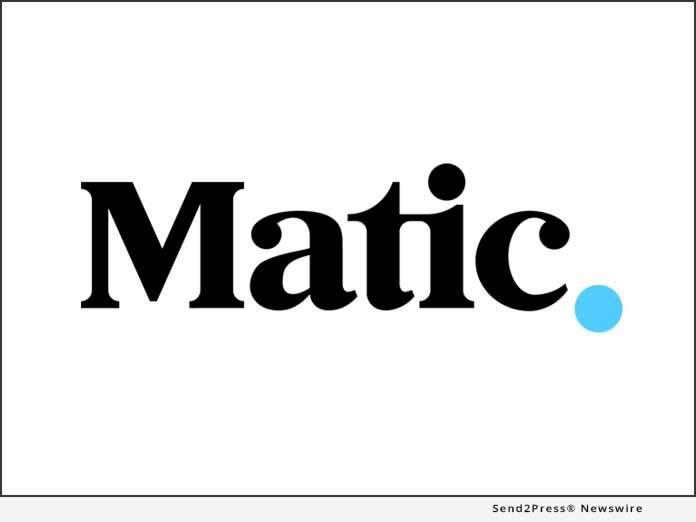 COLUMBUS, Ohio, Jan 24, 2019 (SEND2PRESS NEWSWIRE) -- Matic, the digital homeowners insurance marketplace built for mortgage servicers and lenders, reduced homeowners' monthly mortgage costs an average of 5.5 percent in 2018 by delivering average per-household homeowners insurance savings of $517. The announcement comes on the heels of a year marked by rapid growth for Matic, which helped homeowners identify $124 million in savings over the course of quoting homeowners insurance for over $180 billion worth of residential real estate. Matic works with mortgage servicers to uncover opportunities to upgrade consumers to better coverage or lower premiums from more than a dozen top-rated insurance carriers. The company also works with mortgage lenders to simplify homeowners insurance for consumers in the process of buying a home. "Matic's ability to automatically identify mortgage holders eligible for reduced homeowners insurance premiums has been an exceptional value add for mortgage servicers, who have struggled with the twin imperatives of delivering customer service excellence and growing revenue in a thin-margin business," said Matic Founder and CEO Ben Madick. "In 2018, we've lowered annual HOI premiums an average of $517 per household, empowering servicers to build positive customer relationships while compliantly generating commission income." Over the course of the year, Matic onboarded several new mortgage servicer and lender customers, including RoundPoint Mortgage Servicing Corporation); announced a new integration with mortgage technology platform Mortgage Hippo; and expanded its marketplace of top-rated insurance carriers. Matic and its leadership team received numerous accolades for technological innovation in 2018. Madick was named to National Mortgage Professional magazine's list of the 40 most influential mortgage professionals under 40 as well as Mortgage Professional America's Hot 100 list of industry visionaries. HousingWire recognized the company as a top mortgage technology innovator with its HW TECH100(TM) award and honored company co-founder Aaron Schiff with its HW Rising Star(TM) award. Matic added more than 41 employees in 2018 and continues to build an award-winning workplace culture that maintains an average Net Promoter Score of 82. The firm was recognized by Columbus Business First as one of Central Ohio's Best Places to Work following its April move to Miranova Corporate Tower in the heart of downtown Columbus. In May, Matic received the 2018 Spark Award for entrepreneurship from the Better Business Bureau of Central Ohio. Matic is a technology-driven insurance agency focused on helping lenders and loan officers better integrate homeowner's insurance into the lending process. By using loan application information and first-of-its-kind technology, Matic provides homebuyers multiple policy options within seconds, helping loan officers close their loans faster. Matic delivers the most trusted, affordable insurance policies available thanks to its partnerships with a diverse network of insurance carriers. Today's borrowers expect a digital home-buying experience, and Matic gives them the digital insurance experience to match. For more information, visit https://matic.com/ or follow Matic on LinkedIn.